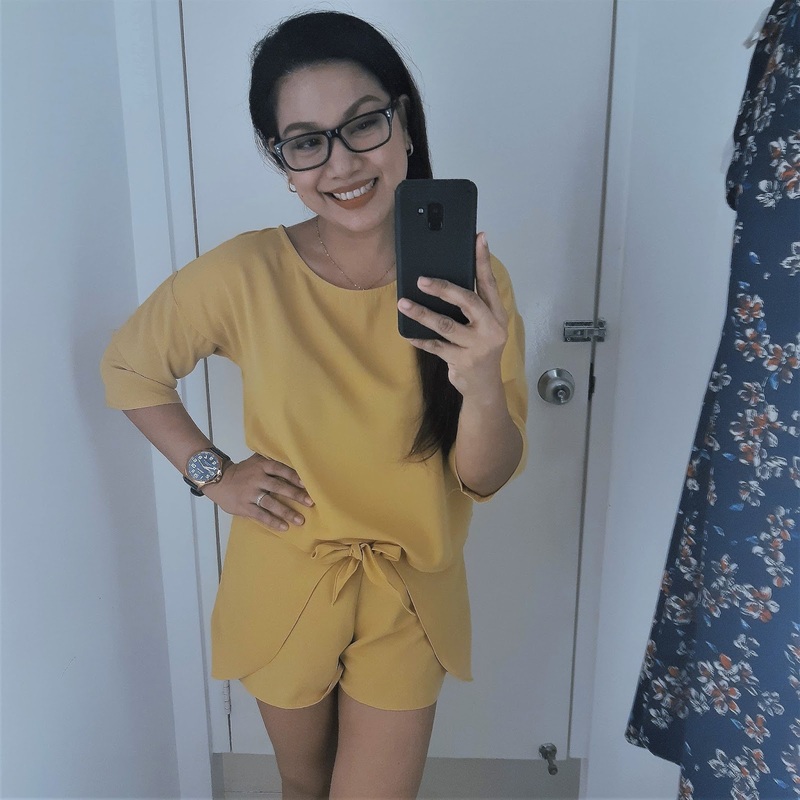 I love clothes and today, I am sharing with you my recent shopping experience at MALDITA and what I love about their new collection. Hence, I am a certified Maldita Mom - in a good and fashionable way. 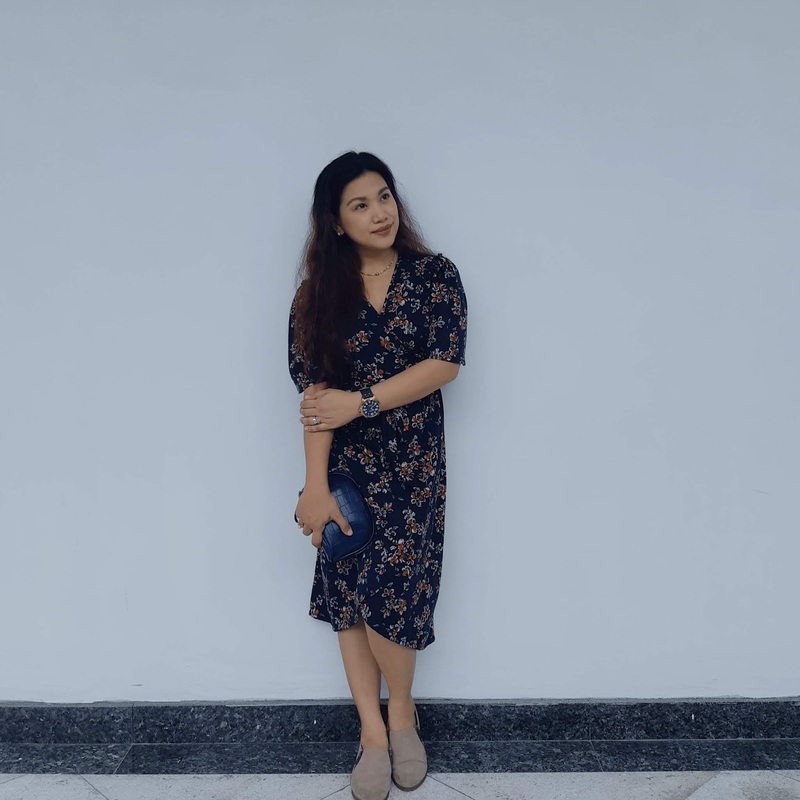 Wrap dress in floral navy blue is definitely a mom-bod bff! Can breastfeed in this too! But let me first tell you about a love story. My love story with clothes. In high school, I've always had an eye for trendy pieces and would save up or sell accessories to classmates so I may be able to shop without asking my parents for a "luho"budget. Before pa lang practical at madiskarte na ako. I love clothes to death that I was able to accumulate too much and they wouldn't fit my closet anymore. So two years ago, I started to declutter and let go some of a decade-old (or more) clothes and those that wouldn't fit me, do not spark joy anymore, and those that were too outdated (ayan kakabili ng trendy clothes, not thinking about its lifespan or longevity). What did I do to these clothes? 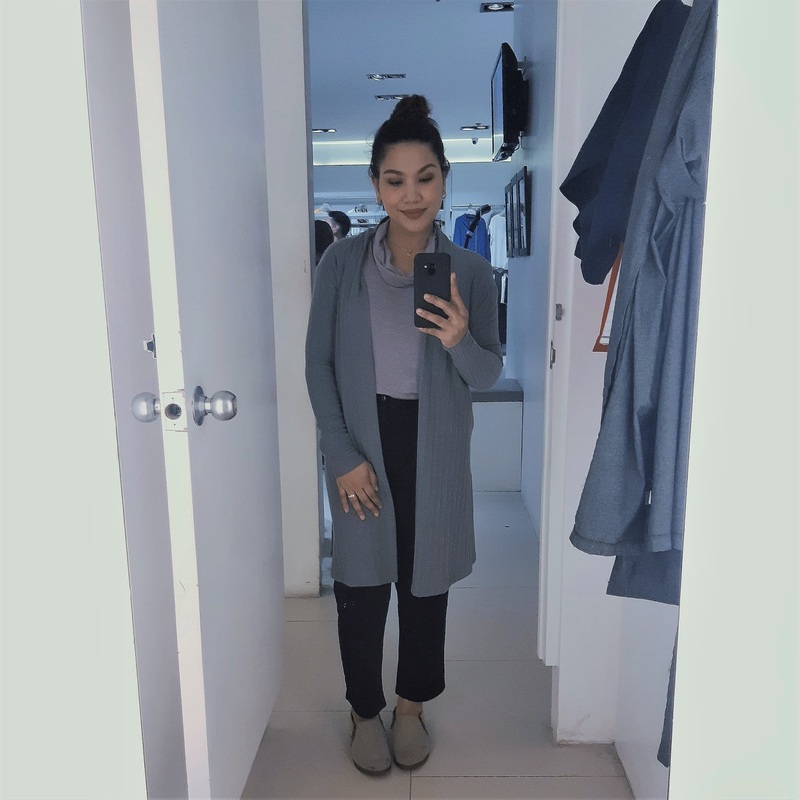 Then I started to love the idea of a capsule wardrobe. I left classic (in style and color), quality, and favorite pieces in my closet and I have never had let out the most relieving sigh in my closet life. I kept whites, blacks, navy blues, stripes, and grays in my wardrobe. I accentuate my office get ups with jewels, watches, bags and shoes. But after a while, my closet lacked spark or fun. But I still love all my clothes anyway. 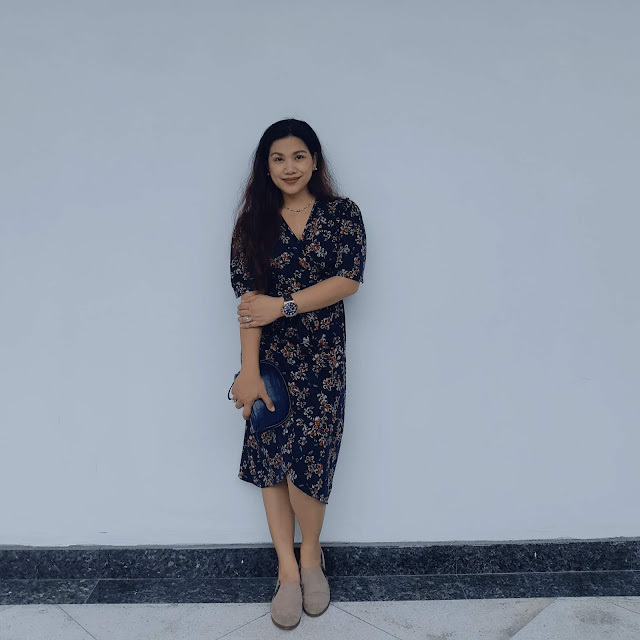 Fast forward to my 6 month old SAHM life, I clamored for a shopping ME-Time which I thought I really deserve for all the days I felt physically exhausted and drained. God must've heard what my heart was yearning for so MALDITA came to the rescue. 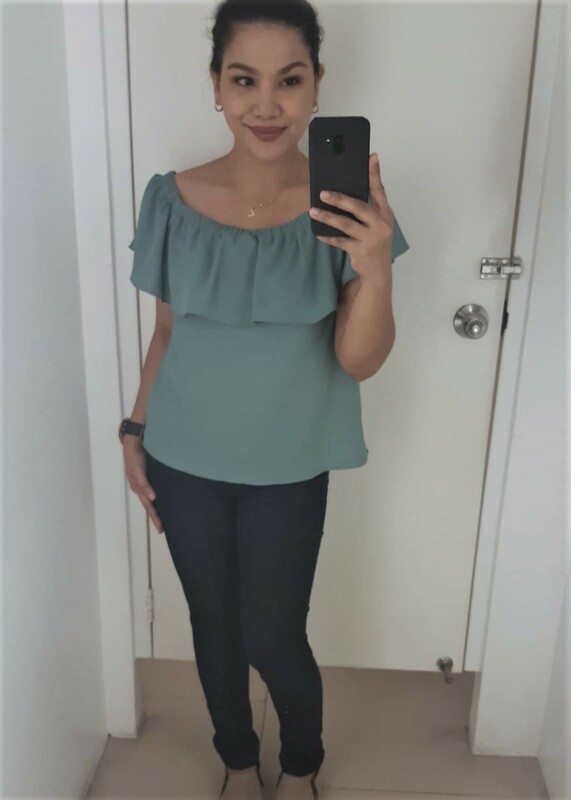 Green ruffled top with Jeggings, bulges gone right? I thought to myself oh yes, I would finally see Maldita, a shop I've always known for having a lot of blacks and whites, grays and navy blues - all my favorites. That only means, I'll get crisp clothes but same hues! Perfect, that's all I wanted anyway! BUT! But.. upon entrance Maldita Store in their Trinoma branch. I was surprised to see that they have expanded their styles and palette of their pieces! Maldita now has updated looks, varying hues, but still the versatile and classic styles. Their pieces could be worn from Day-To-Night. Day to Night wear: Run errands in the morning. have lunch with amigas, then date night with hubby! 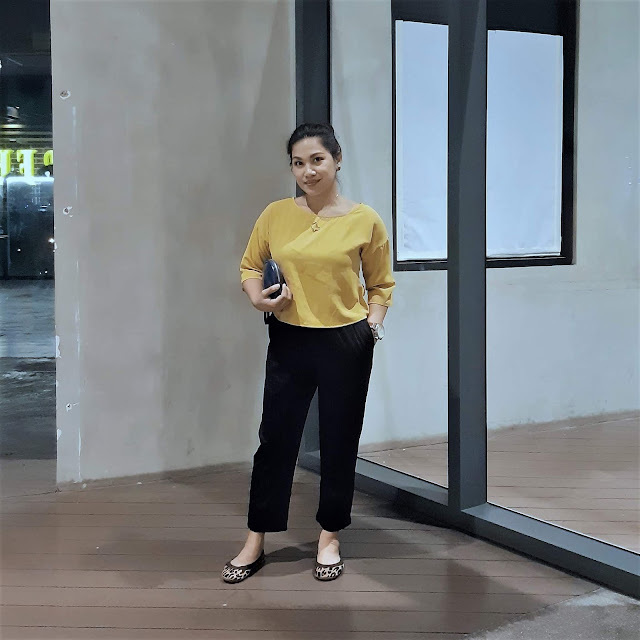 I haven't worn this all mustardy set, but have paired the top with a Maldita black cropped pants. 1. Versatility. 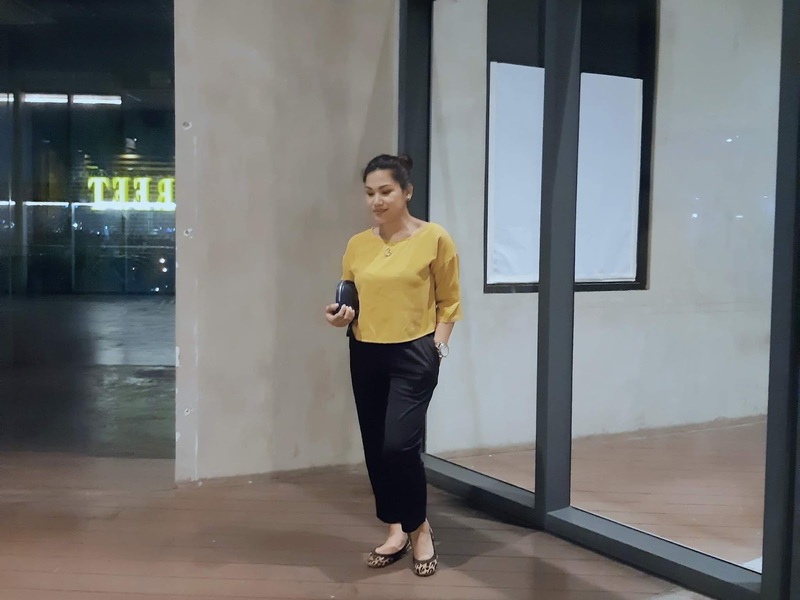 The new MALDITA collection has tops, dresses, pants, skirts, cardigans, blazers, and shorts for both Women and Men. Yes, you read that right, there are pieces for the man of your lives as well. The pieces in their collection are so versatile that you could wear them from DAY-TO-NIGHT. Just by adding some accessories or layering (or taking off too) with clothes (add jacket or cardigan) or changing shoes or putting your hair down, you can achieve a different look. 2. Mom-bod friendly. I cannot stress enough how real moms have unwanted tummy bulges or love handles (we can't handle), and breasts made for feeding another human - the choices of Maldita clothes I took home could hide those bulges and could make breastfeeding possible too! Not to mention, we sometimes have yoyo-like weight issues (gain some, lose some) right? The cropped pants I got is garterized which means, okay lang if I had an extra rice during lunch or dinner! 3. Quality. Maldita always strikes me as a retail apparel shop which would never sacrifice the quality of clothing in their stores. After all, how could an apparel business that's been around for decades (since I was still in school!) sustain its very Filipino business name in an industry where new, popular, and strong players keep on popping everywhere? They may have come and go, but Maldita stays the same- an apparel known for its quality standards and style. 4. Price. I thought the price tags on the pieces I picked would give me a heart attack. It didn't. In fact, for a piece of clothing coming from a known apparel brand, I was surprised to see that they are super affordable and reasonable. Actually, they could even make their price point higher because of quality, buti na lang hindi! So that moms who are stylish would not bat their eyelashes to spend for themselves for all the hard work they do for their families. You could say that I was highly satisfied with my shopping experience and of course with all the different sets of Maldita apparel pieces I took home that day. In fact, I wanted to come back right away after realizing that I haven't shopped enough! Hahaha! 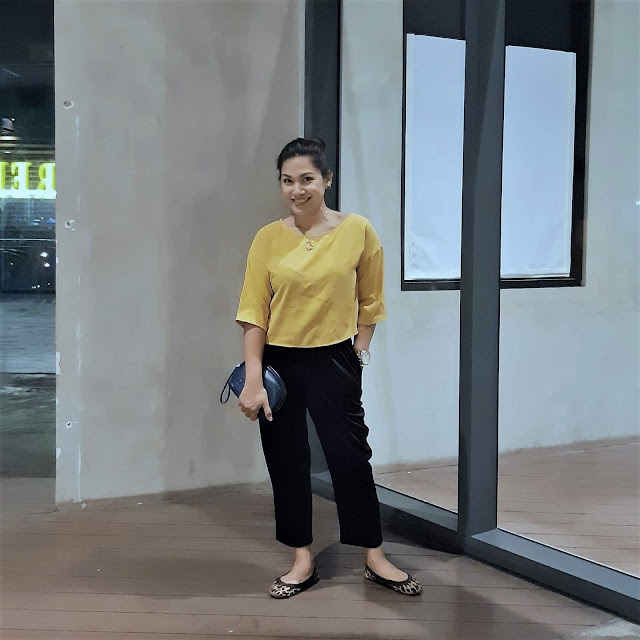 Thank you Maldita for trusting my blog to be your Maldita Mom of the month! Thank you also for answering my prayers - a shopping experience I've been dreading to have soon. Thank you also for the confidence and self-esteem you brought back to me when I wear your pieces of clothing. It's emotional. Lastly, because of you Maldita, I discovered that I am now down to size SMALL from my usual MEDIUM! Another boost of confidence right there! Thank you. Customers are upwardly mobile, educated and fashion-savvy women and men of all ages. 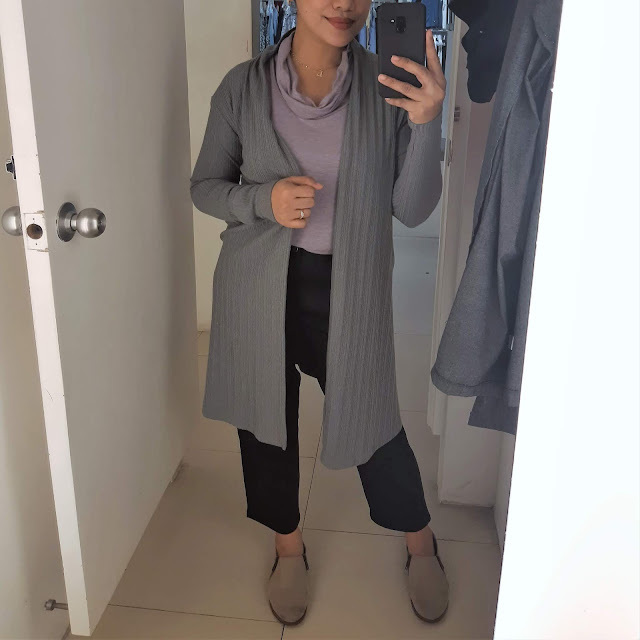 Maldita dresses the modern woman and man for their daily casual, urban or dressy needs, making them feel strong, empowered and driven. Providing excellent customer service, presenting great quality merchandise and offering affordable and reasonable pricing in the modern retail environment is the heart of their core pursuits.